At the Busch School of Business, our goal is to develop future business leaders who practice the four key principles of Catholic Social Doctrine which include common good, subsidiarity, solidarity, and human dignity. For those who chose to develop their spiritual life, we offer a wide variety of venues to foster and grow their personal relationship with God. To begin with, the campus is located next to the Basilica of the National Shrine of the Immaculate Conception, the largest Catholic church in the western hemisphere. In addition, the centerpiece of the new business school building will be a chapel which will offer time for personal prayer, spiritual direction, confession, and daily Mass. The Busch School of Business has the privilege of having Rev. Msgr. Robert Panke, Rector of the St. John Paul II Seminary as our spiritual director to the school faculty, students, and staff. 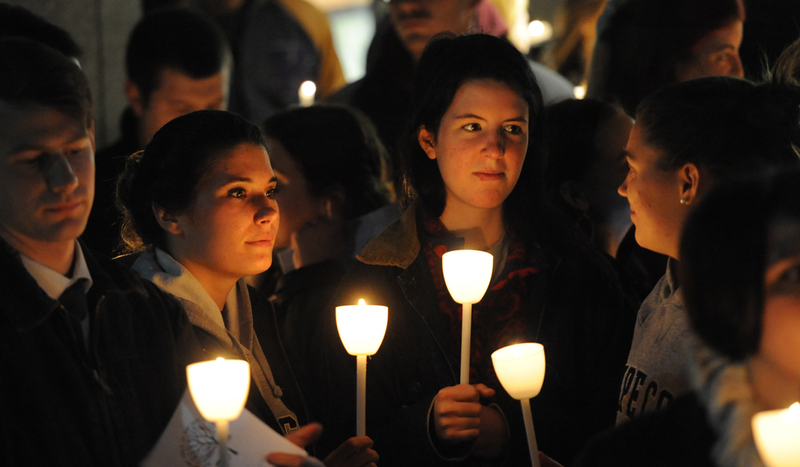 Campus Ministry offers a myriad of ways to grow in your spirituality. Please visit their webpage: http://ministry.cua.edu/.